Expand and Grow your business. We have the right solution for you! What will it take to grow your business to the next level? A single predictable future does not exist. Minding the day-to-day will only get you so far. To really grow your business, you need to be allocating and optimizing resources to drive the greatest results. Companies that scale have leverage. Growing the business at scale is about optimization, not duplication, of efforts, with minimal or no increase in operating costs. 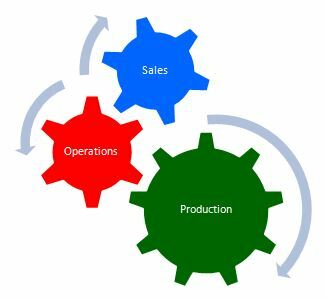 The management of Sales, Operations, and Production activities to create and capture value has always been a cross-functional effort. 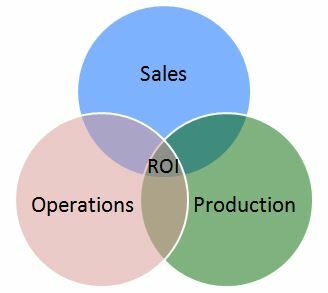 Nothing will flat-line growth faster than a lack of cohesion between Sales, Operations, and Production. Each area is notorious for generating conflicts over differing expectations, preferences, and priorities. Are marketing and sales working together to generate demand, reach new customers, displace the competition, and close business? Are closed deals being transitioned to services/support while lowering your general administrative and overhead? Are internal team members and external partners being leveraged to multiply the company’s efforts toward improved efficiency in activity and production? The insight provided by an outside expert who brings a broader perspective can help alleviate “Team Myopia.” Department members are often too invested in a situation to see everything they need to consider. The Green Power Guy (GPG) provides an unmatched combination of information, insight, and expertise. Our 24 years of field-proven documented results provides the expertise necessary to identify, analyze, interpret and improve performance. We focus on achieving results by creating a truly modular design workflow. We can help your organization raise productivity, outpace competitive benchmarks, optimize capital returns, enhance process technologies, reduce costs … and boost your return on investment.